What does this new "whaaat?" sticker refer to? Anyone know? It can't be this, can it? Maybe a 'Despicable Me' reference? Photo from It's A Perfect Day. Please let it be a nod to the minions! You mean the Bunny Lake reference in the various CD credits? I think so. 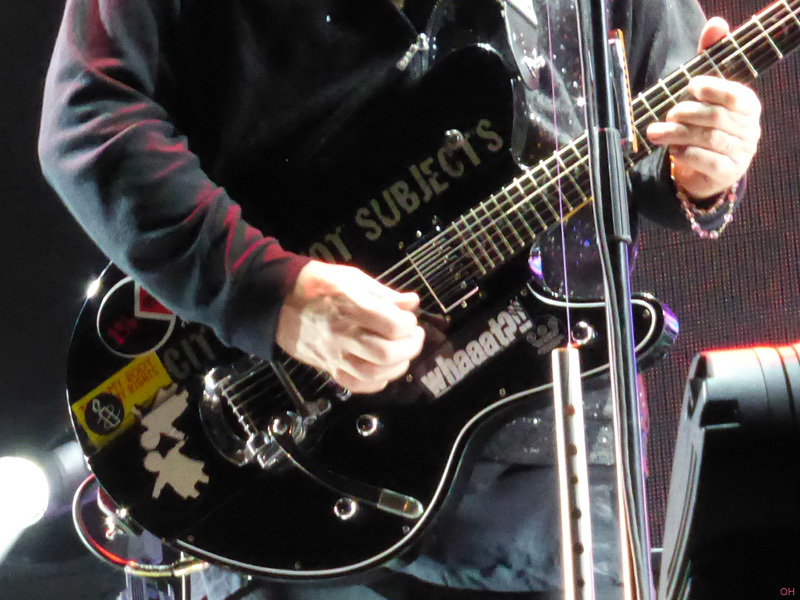 Yes, he has that LSD sticker on one of the other guitars. ...a reference to the very well done and funny cartoon Gravity Falls? What makes you think so? I've never seen it, so I have no clue how they could be connected? Yeah, as a Who fan, I'd love for this to be it, but highly doubt it. Tennant's What is very short, whereas the sticker is more extended.